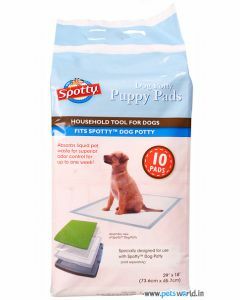 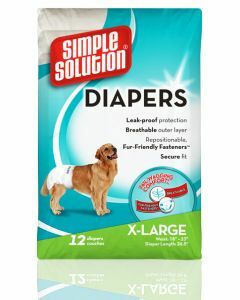 Potty Pads and Diapers help a great deal in keeping puppies and dogs clean at all times. 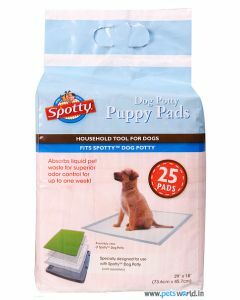 They are apt for puppies who are yet to undergo house training and also for senior dogs who may face incontinence. 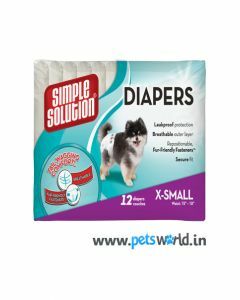 You can keep your pet relaxed as well as maintain good hygiene of your home with the help of these products. 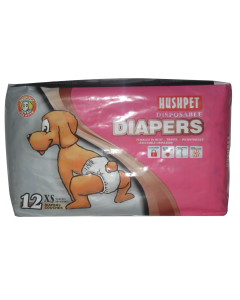 We at PetsWorld stock a huge variety of potty pads, diapers, training pads and diaper couches for supporting puppies and adult dogs of all breeds. 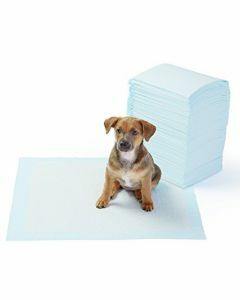 We have training pads which attract the dogs towards the pads due to its attractive scent. 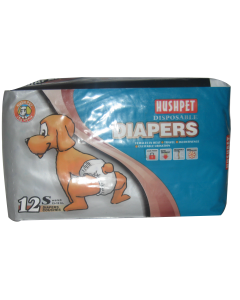 The pads are super absorbent which absorb liquid pet waste quickly. 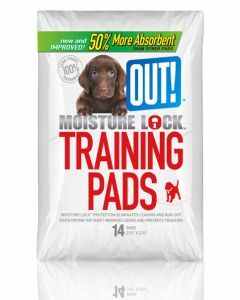 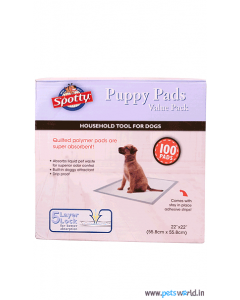 Training pads like Spotty Puppy have 3 layer locking system that retains liquid and locks in bad odours. 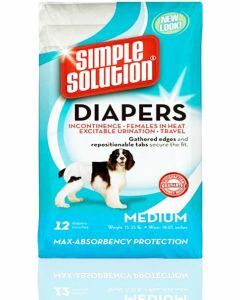 Simple Solution Disposable Diapers work best for dogs having urinary incontinence, excitable urination and for those female dogs who are in heat. 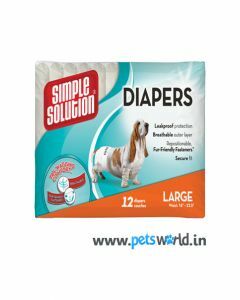 They are diapers which are absolutely leak proof and secure fit for your pets to wear. 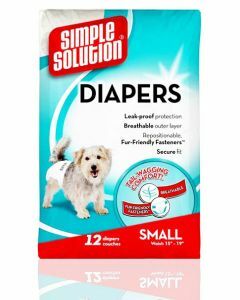 Additionally, for cleaning the cages of birds and rabbits, we have PetBrand Cage Clean Spray which has a pleasant lemon scent and a thorough cleansing effect.